The Organization for Economic Co-operation and Development (OECD) has noted a sharp rise in development spending of 8.9 percent between 2015 and 2016. Despite this increase, aid to many poor nations has fallen. In four countries, more than one dollar in every five was spent at home in caring for refugees. Overall, a large portion of the increase in spending was allocated to refugees within donor countries. This is an expected change. The same trend was observed in 2015, marking the beginning of the Syrian refugee crisis which saw vast numbers of Syrians, as well as refugees and migrants from various other Middle Eastern and North African countries travelling to Europe. 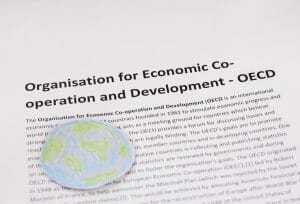 Membership of the OECD includes 22 of the current 28 European Union (EU) nations. Since these are the countries predominantly affected by the current refugee crisis it comes as no surprise this spending increase has occurred. 2016 was the first ever year in which domestic spending on refugees overtook spending on bilateral aid (country to country). The long term implications of the reduced spending on aid to developing countries in favour of domestic spending on the ever increasing number of refugees and migrants only becomes apparent when taking into account the recipients of OECD aid. On the list of recipients of OECD aid are many of the countries that were home to many refugees and migrants. Amongst these are Syria, Iraq, Afghanistan, Yemen, all countries currently in a state of political or humanitarian crisis. All have been in a state of war for several years. It is understandable that many would wish to flee the dangerous conditions of a country in a state of war, and it is inevitable that funds will need to be allocated to accommodate these people in host nations. To reduce aid to the country they flee from, however, not only allows conditions to worsen for those still living in that country, but reduces the chance that the refugees may return home following the end of the war. This policy has led some to criticise the shift in funding as a means to force poorer nations to foot the bill of the influx of refugees to Europe. Somalia and Libya also feature on the list. Both are racked by political upheaval which has resulted in loss of life and creation of militant groups. Alongside these are a large number of African nations in extreme poverty. Neglecting to send aid to many of these nations may, in the future, add to migration issues. The lapse in foreign spending can be accounted for when viewing the overall percentage of the overall Official Development Assistance (ODA) spending. In 2014, 4.8 percent of the budget was used to accommodate refugees, this nearly doubled in 2015 when the percentage increased to 9.2. The proportion of the budget continued to rise in 2016, reaching 10.8 percent. In 2016, 11 countries spent over 10 percent of their ODA on refugee costs. Amongst these, 4 spent more than 20 percent. These countries were: Austria, Germany, Greece and Italy, all of which heavily affected by the migrant crisis. 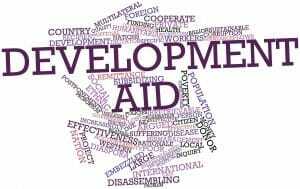 Spending on development aid from nations within the OECD has shown a consistent increase for many years. Since 2000 there has been an increase in aid spending of 102 percent (adjusted for inflation). The matter of focus being drawn from the poorest nations in favour of domestic spending on refugees may simply be reactionary to current situations. The shift in spending has some at the OECD concerned. OECD Secretary-General Angel Gurría commented on the matter. This decline also factors in the shift of many countries from being defined as low income “LIC” to middle income “MIC”. This has meant a large portion of the aid budget is being contributed to the development of nations already considered to be in a fairly developed state, as opposed to countries lacking resources developing at a slow rate. Aid to these LIC has fallen 6 percent since 2010, with only 30.3 percent of the total aid budget in 2014 being allocated to the countries within this category. This has led experts such as Professor Hans Rosling to question the efficiency of donating significantly more aid to middle income, yet conflict stricken nations such as many in the middle east, as opposed to poorer but more stable nations who are at an earlier stage in development. There is a United Nations target to donate 0.7 percent of a country’s GDP to foreign development. Germany in 2016 reached this threshold value, with the Netherlands, formerly donating above this value, falling short. In addition to Germany five other nations hit this target: Denmark, Luxembourg, Norway, Sweden and the United Kingdom. The increase in money spent on domestic refugees is seen by the OECD as a problem, and potential spending loophole. The ability to count domestic refugee spending as foreign development aid stems from the OECD-DAC statistical reporting directives introduced in 1988. The reporting directives allow for domestic refugee spending to be counted amongst foreign aid for the first year of the refugees’ residence in the developed country they have been allocated to. This allows for food, residency, and the loosely defined “training” of the refugee (efforts to integrate the refugee into the economy of the host nation cannot be recorded as ODA). Also noted within the directive is the potential for a donor nation of the OECD to allocate spending to refugees within another OECD donor nation, still classifying this spending as foreign aid. This allows for, for example, an EU country to allocate foreign aid money within the EU. Angel Gurría also addresses this issue, “…we must pay close attention to where the money is going and what is being included in foreign aid”. There has been speculation that some senior ministers in the British government are seeking to divert funding from what they deem to be “wasteful” development projects in Africa and Asia towards projects in Eastern Europe. Theoretically this would win support for the UK in the negotiating chambers for the Brexit agreement. Though currently only speculation, this kind of political maneuvering is unlikely. The intention of winning over countries such as Poland, Hungary and the Baltic states would be denied under the OECD’s regulations. Donations to countries defined as “developed” would not count towards the 0.7 percent obligation for aid donations under the OECD’s DAC code. The only European countries qualifying for aid would be Ukraine, Moldova and Albania, none of which are members of the EU. The Department for International Development (DfID) has already said this would be illegal, and so off the cards. However, under the 1988 statistical reporting directives it is entirely legal for Britain to assist in the costs of housing the refugees in Europe. Should speculations be true, and ministers be planning to win allies in the EU by diverting funding, this is a possible avenue they may pursue. Some have called for a rethink of the practices of the DfID, claiming its practice of maintaining a 0.7 percent of GDP expenditure (in line with UN targets) often requires a spend first, justify later outlook. Previous examples of civil servants spending £1 billion in 8 weeks in order to hit targets is sometimes cited although, of course, money spent fast can be spent well. Short term goals over long term development?